Working alongside RTKL Architects, we prepared a site plan concept for this small site that provided two primary exterior spaces that visually tied both interior and exterior public areas of the hospital. 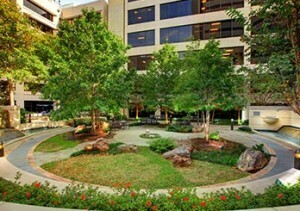 The main entrance, with its special paving patterns, custom bollards, and site furniture, is located on the north side of the hospital. 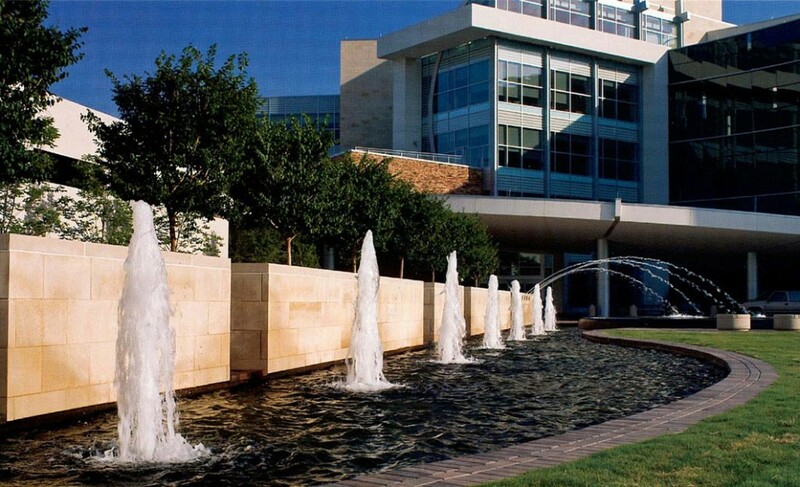 The entrance is anchored with a playful circular fountain that is a focus for both the hospital lobby and a long dramatic vista that was created across a grassy lawn that parallels Allied Drive. The fountain’s circular pool design is a highly reflective black tablet, reflecting the entry’s paving pattern. A long, playful paving band that radiates from the building’s lobby and across the drop-off zone, bisects the raised black water tablet that reflects the sky. 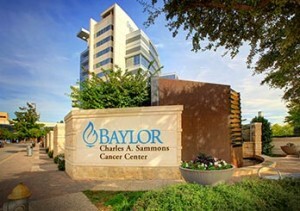 Water jets stream from an adjacent screen wall and shoot into a curved water slot, leading the eye to a series of vertical water plumes and the hospital’s identification sign in the distance. 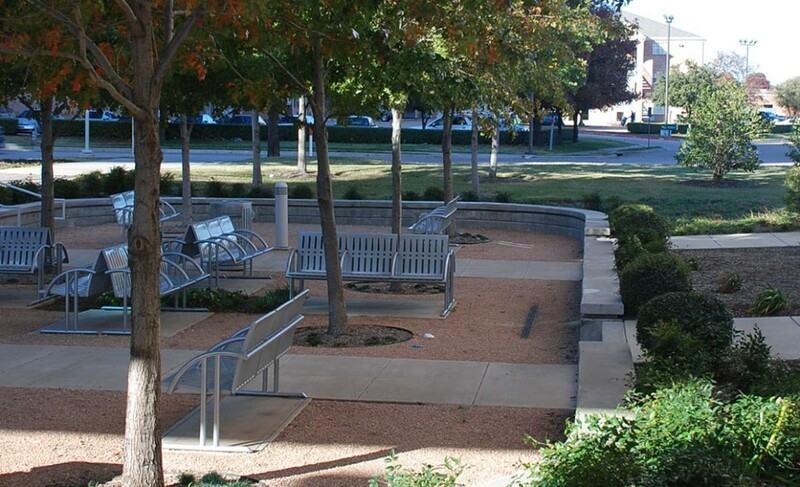 Shaded garden seating is provided just east of the hospital entrance. 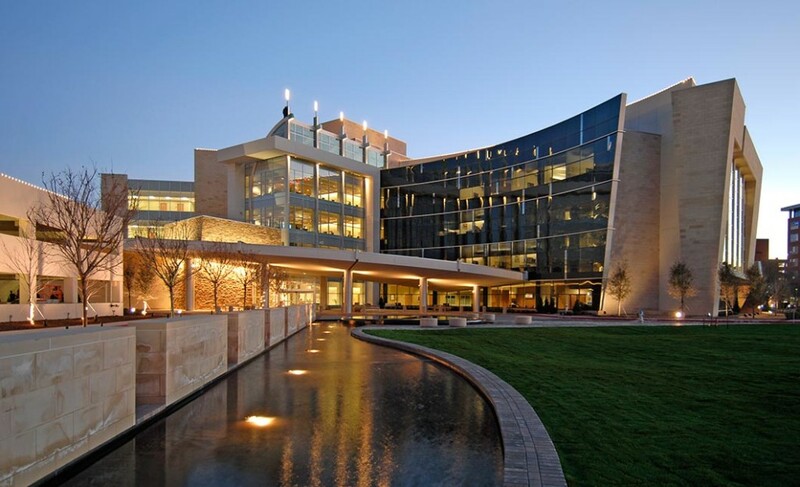 The Baylor Plano Hospital site design is a simple solution that recognizes the importance of providing pleasant healing spaces for patient’s families and hospital patrons.